Finest Chauffeurs is seeking drivers to chauffeur clients in selected States. We are seeking chauffeurs who will drive clients in the clients' vehicles to and from their engagements, on a per assignment basis. 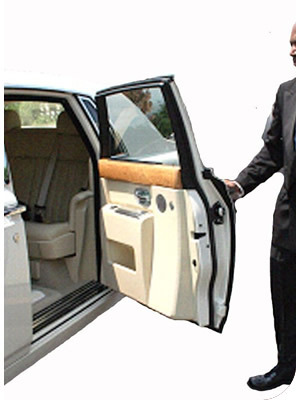 All Multilingual Chauffeurs must speak at least one additional language, in addition to speaking English proficiently. All Multilingual Chauffeurs must also be able to read and write English and the additional language proficiently. Additionally, we are seeking multilingual owner/operators of licensed liveries of all languages. the language you speak, and whether you speak it fluently, moderately, or slightly. Also indicate whether you can read and write the additional language proficiently, moderately or slightly. All chauffeurs must speak English fluently. May interpret for the client on minor matters, directions, menus, low cost retail items, etc. We are seeking relationships with owner operators of limousines, Exotic, and luxury livery vehicles, and owners of armored vehicles. Vehicles of most interest are, Rolls Royce Phantom, Bentley Continental Flying Spur, Mercedes Benz, S550, Lincoln Town Car, full passenger and mini vans and SUVs, armored or un-armored. We will outsource service calls to you. Candidates seeking chauffeur employment please fax or email your resume and drivers license abstract to Finest Chauffeurs. Additionally please indicate if you are seeking full time or part time employment. If seeking part time employment indicate the days and hours that work best for you.